What is your latest release and what genre is it? My latest release is Firebound, book two in the Spellbringers Series. It falls under the young adult paranormal romance heading. Quick description: The story follows two main characters—Rachel and Alisa. Alisa is an ordinary human, but her best friend and boyfriend are both Spellbringers (wielders of magic). She struggles with feelings of inferiority, and at the same time, fights to maintain a sense of independence as her relationship with her boyfriend progresses and becomes more serious. 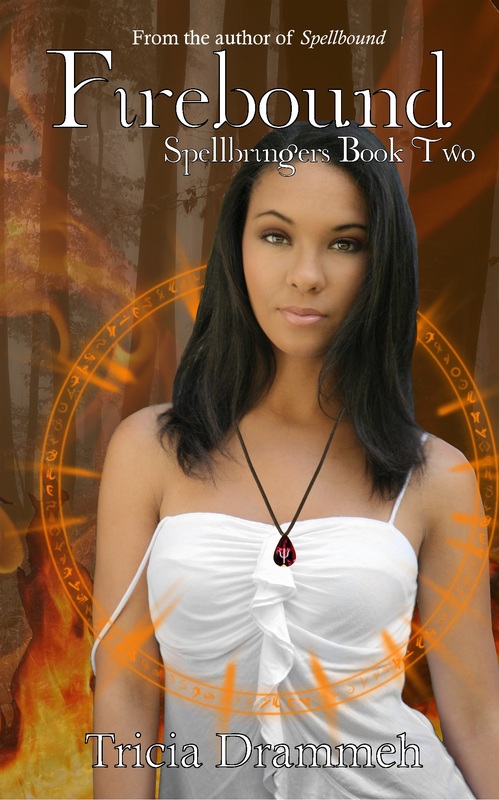 Rachel is new to the magical world and has to hide her true nature from her family. In order to protect her brother from dangers he isn’t aware of, she forges an alliance with evil. She’s afraid to confide in her friends, so she tries to handle her problems on her own, which only serves to put everyone around her in danger. I’m a wife, mother of four, cat lover, and an author. In my spare time (and for a paycheck), I work in accounting. 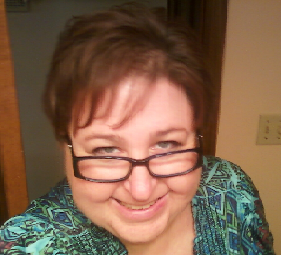 I write paranormal novels for Young Adults and contemporary books for the New Adult audience. I’m working on Unbound, which is book three in the Spellbringers series. I’m currently reading E by Kate Wrath. It’s a dystopian novel which is incredibly well-written. Interview with Tricia Drammeh, a great indie author of YA paranormal and NA with a romatic inclination. Thank you for sharing, Jane. I really do appreciate it. I’ve just been featured on Susan Toy’s wonderful blog, Reading Recommendations. Thank you, Susan, for the opportunity to be featured on your blog! My pleasure, Tricia! Thanks for participating! Not only is Tricia a talented author I’m also lucky enough to be able to call her a friend. I love the Spellbringers series and can never wait for the next instalment. I wish you the very best with this series Tricia. If you love YA/NA fantasy you can’t afford not to meet the spellbringers. Oh, thank you so much for the kind words. You are such a wonderful, supportive friend. An awesome series by an equally awesome author. Thank you, George, for sharing! Thank you so much! Isn’t Susan’s blog wonderful? It’s an honor to be included among all these amazing authors. And I feel so privileged to have “met” all of you and be helping with your promotion!